GB100RSM Goes On The Air! We were lucky enough to have a visit from the Royal Signals Museum last week. Our school played host to a special event radio station, where we made contact with other stations on sites of World War 1 battles, including Ypres and The Somme. The radio station in school had the unique call-sign: GB100RSM. 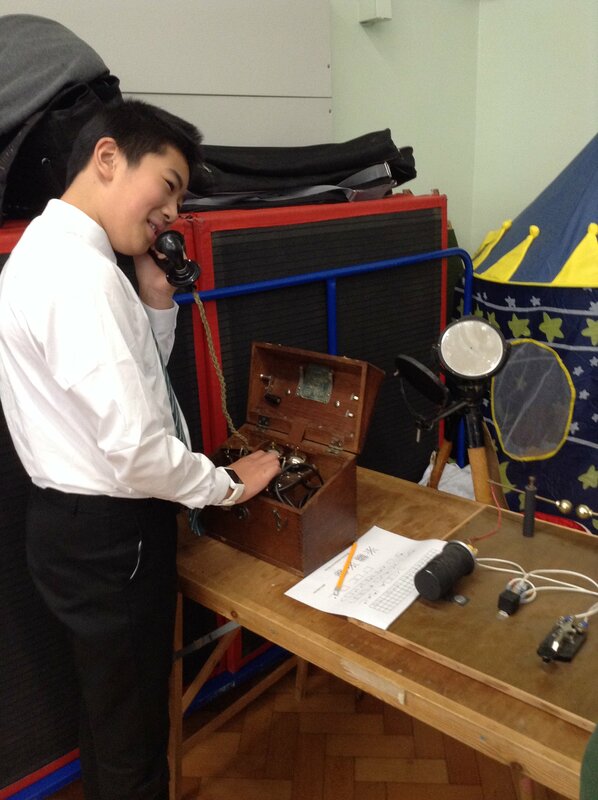 The children explored the communication technologies and techniques used during the war, and enjoyed interpreting Morse, Semaphore and radio communication to figure out clues. The children thoroughly enjoyed the visitors to school, learned a great deal, and took the opportunity to send a message of remembrance to those that lost their lives in WWI. We would like to extend our thanks to the Royal Signals Museum for holding the workshops, and to Geoff for organising the workshops in the first place.